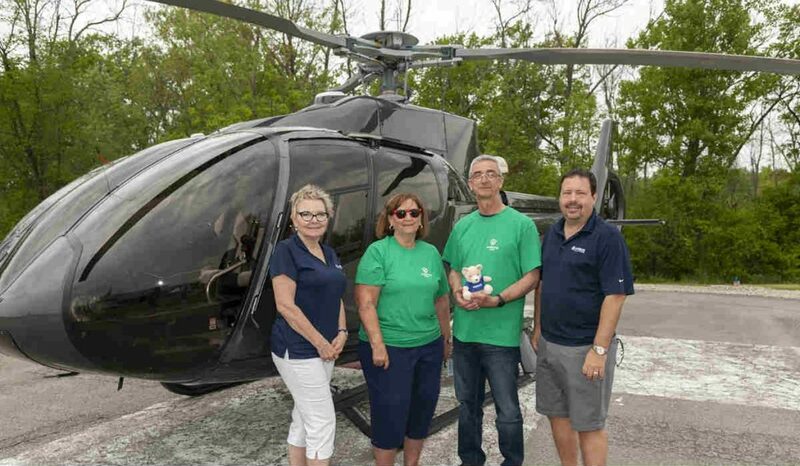 In late May, Airbus Helicopters Canada held its annual Family Day celebration, attended by more than 700 employees, family members and friends, at its manufacturing facility in Fort Erie, Ontario. The day included facility tours, a range of activities and catering by local Niagara College. At around noon, an Airbus H130 landed on the facility’s helipad to serve as a static display for two hours. During the event, local charity Wellspring Niagara set up a booth onsite to sell Airbus merchandise, with all proceeds going back to the organization. Wellspring Niagara first opened its doors in June 2001, inspired by Aldo Mantini, who lost his life to cancer at age 31, to provide free social, emotional, psychological, informational and spiritual support to individuals living with cancer, their families and close supporters. Established in Fort Erie in 1984, Airbus Helicopters Canada today manufactures and supplies composite parts for seven helicopter models in its 138,000-square-foot facility, which includes 50,000 square feet dedicated for composite manufacturing. Some of the parts manufacturing in Fort Erie, according the to company’s Website, includes: engine cowlings for the EC130, AS350 B3 and EC145; boarding steps for the EC135 and EC145; horizontal stabilizers for the EC135 and AS365; luggage box / cargo pod for the AS350, EC130 and EC225; cable cutters for the AS350, EC135 and EC145; and the high visibility door and vertical reference window for the AS350. Airbus Helicopters Canada now has close 700 helicopters in service with 200 operators across the country.